SDCC attendees will want to check out the Toynk Toys booth this year. They will have a plethora of exclusive pins and other geeky collectibles from basically every corner of fandom. Like games? 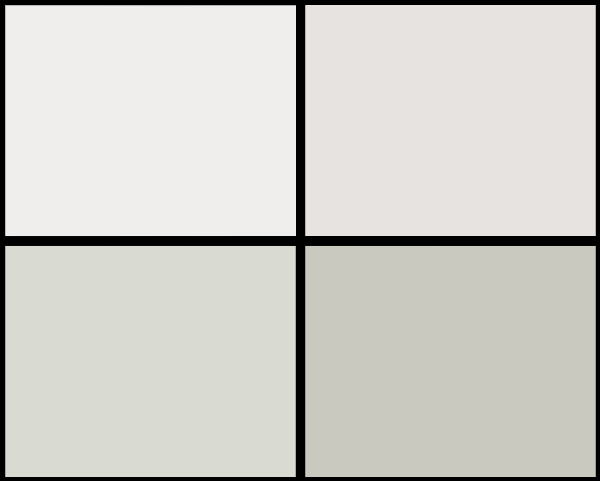 Cuphead, Fallout, Sea of Thieves are all here. Marvel fan? 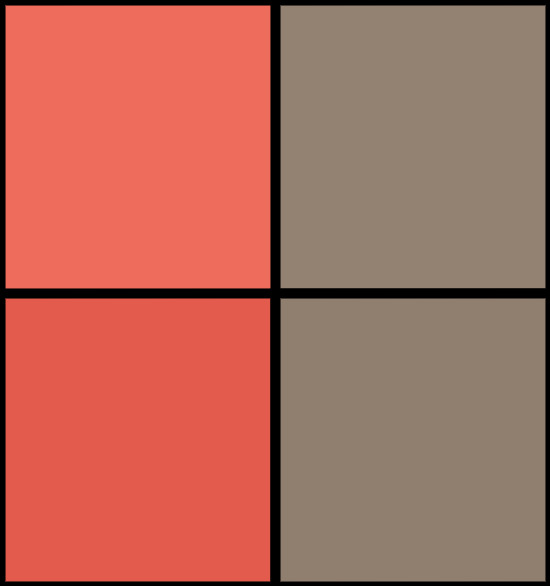 Pins and Tikis from Black Panther, Infinity War, and more. Aquaman trailer got you pumped? Check out their trident pin. Even Bob Ross and Mr. Rogers have collectibles there. Rick and Morty fans collect the enamel pins like mad, and they have one of the cooler ones. Check them all out below! Officially Licensed 2018 San Diego Comic Con Bob Ross Figure. 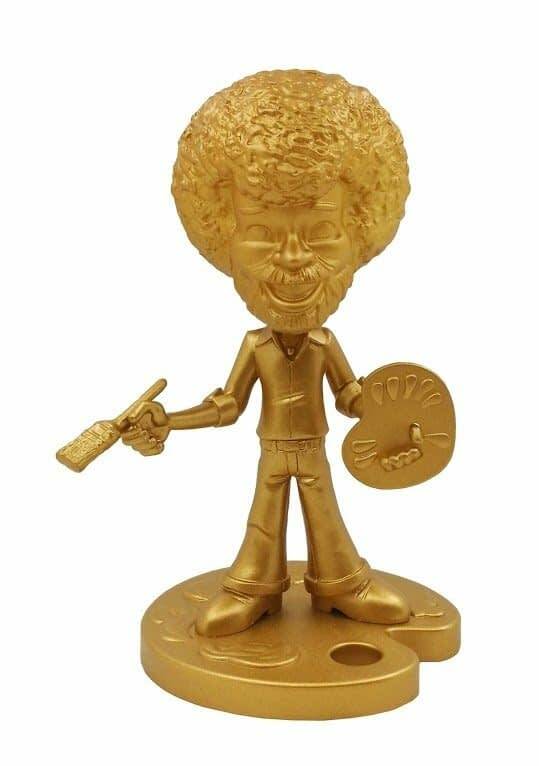 This limited edition gold variant figure measure 6″ tall and 6.5″ tall with removable paint pallet stand. 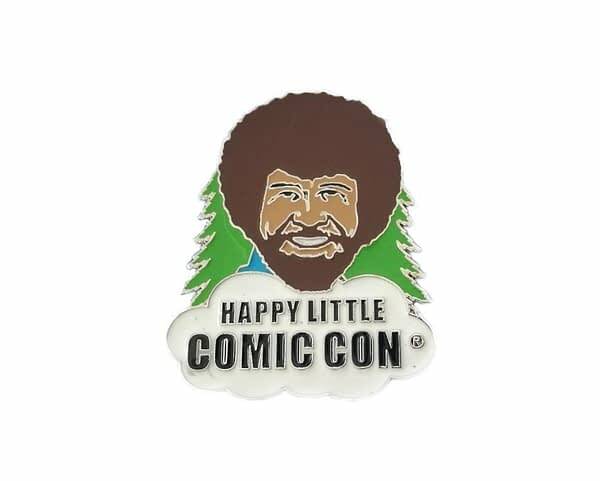 Officially Licensed 2018 San Diego Comic Con Bob Ross Happy Little Comic Con Pin. This limited edition enamel pin features Bob Ross. Pin measures approximately 1.5″. 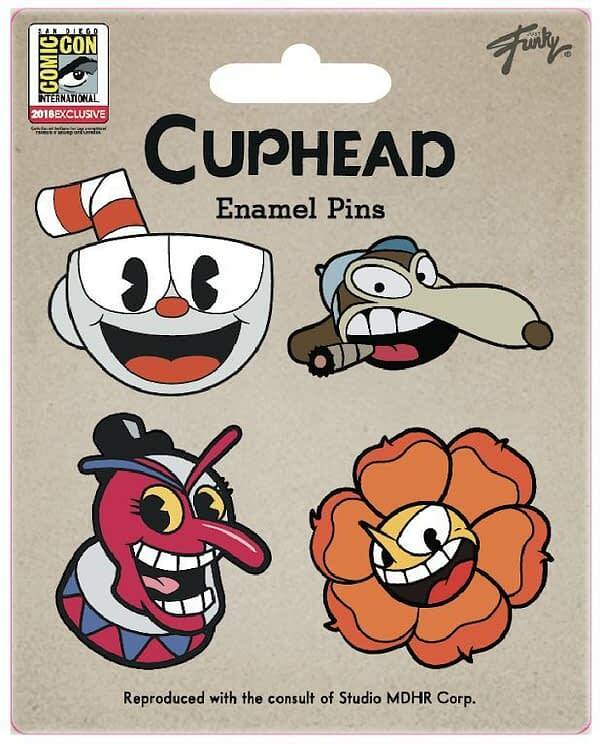 Officially licensed 2018 San Diego Cuphead 4 Pin Set. This limited edition enamel pin set features Cuphead, Balloon, Weasel and Flower. Officially Licensed 2018 San Diego Comic Con Daredevil and Punisher Geeki Tiki Set. 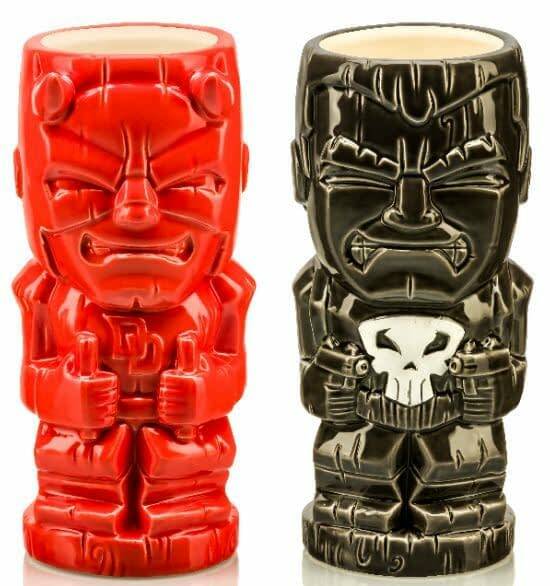 The creative, colorful drinkware products combine some of MARVEL’S most-beloved characters with the unique stylization seen in traditional tiki culture. Each ceramic MARVEL Geeki Tikis® stand approximately 7” tall, is top-shelf dishwasher safe, microwavable and boast a capacity of up to 17 ounces. 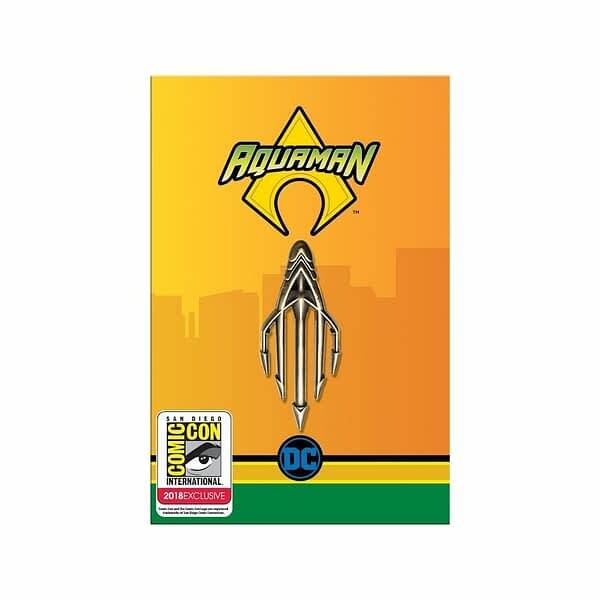 Officially licensed 2018 San Diego Comic Con Exclusive DC Comics Aquaman Pin. This limited edition enamel pin features Aquaman’s famous trident. 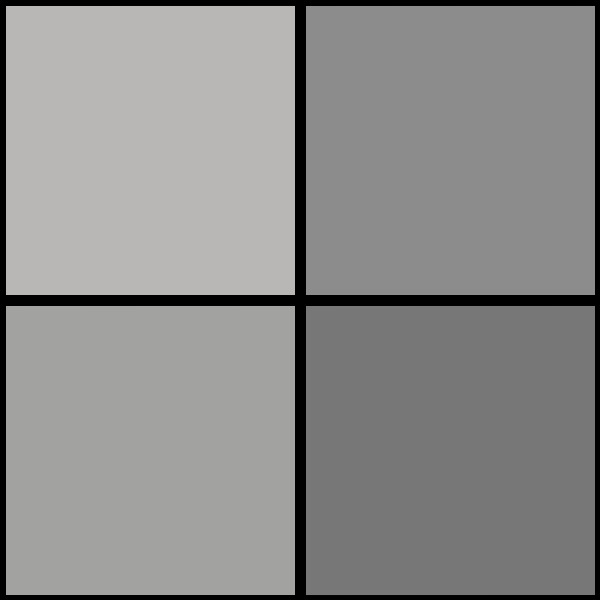 Pin measures approximately 1.5″. Officially licensed 2018 San Diego Comic Con Exclusive Dungeons And Dragons Pin. 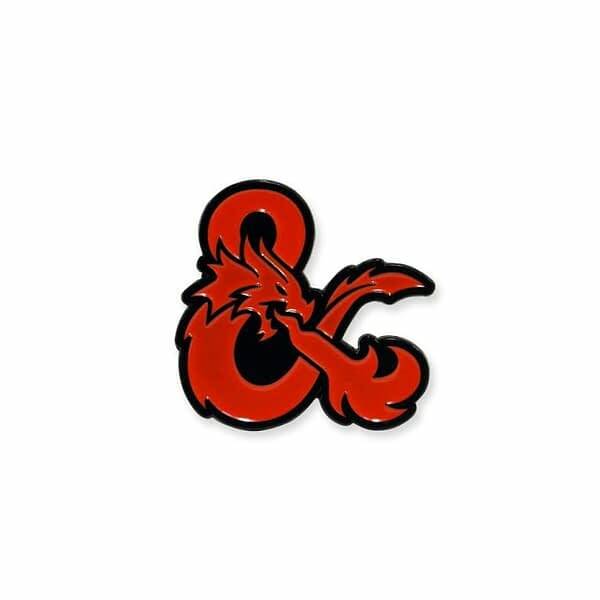 This limited edition enamel pin features the classic D&D Ampersand. Pin measures approximately 2″. Officially licensed 2018 San Diego Fallout Pins Set of 2. 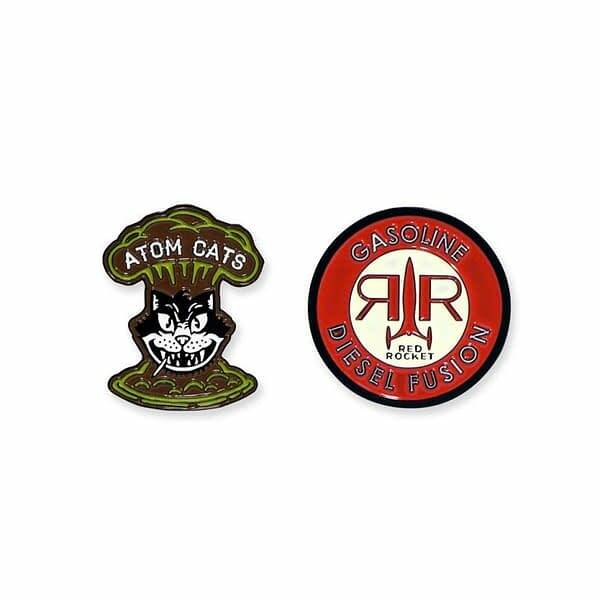 This limited edition enamel pin set features Atom Cats and Red Rocket Fuel designs. 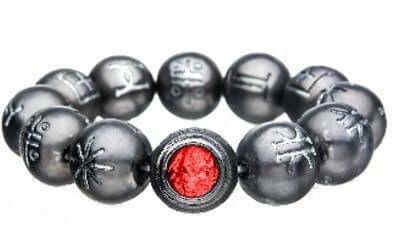 Officially licensed 2018 San Diego Comic Con Exclusive Marvel Black Panther Kimoyo Bracelet. This limited edition replica bracelet feature a red bead accent, stretchable bracelet measures approximately 8.5″. The Kimoyo bracelet includes a Certificate of Authenticity and comes in a handsome collectors box. 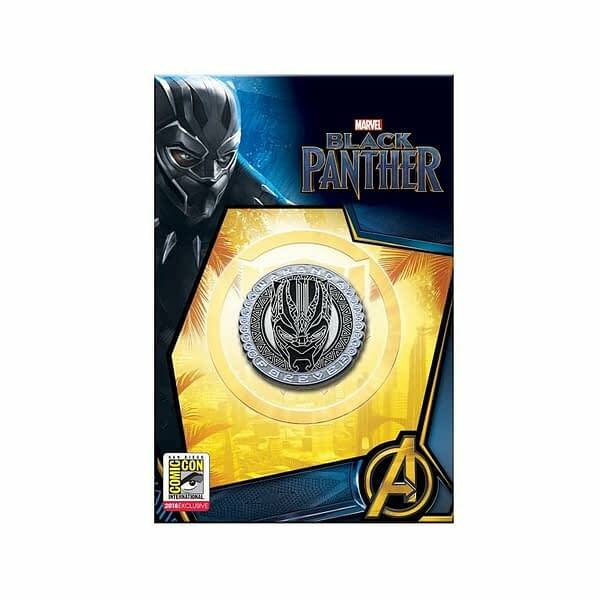 Officially licensed 2018 San Diego Comic Con Exclusive Marvel Black Panther Wakanda Forever Pin. This limited edition enamel pin glows “Wakanda Forever” in the dark, and measures approximately 1.25″. Officially licensed 2018 San Diego Comic Con Exclusive Marvel Deadpool Pin. 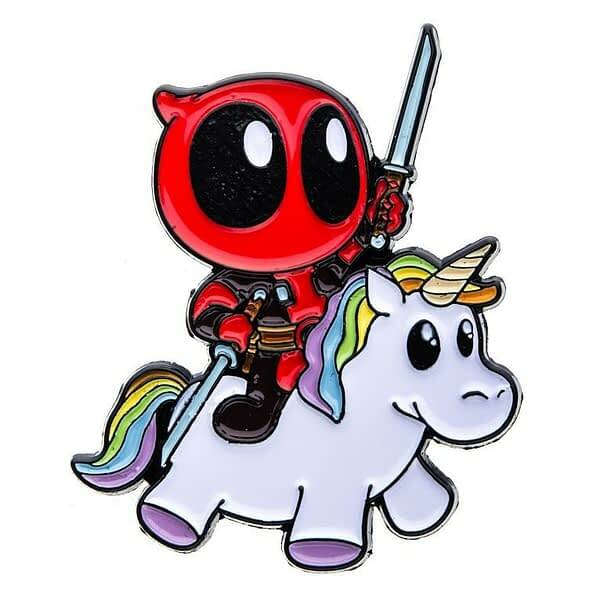 This limited edition enamel pin features Deadpool riding a unicorn. Pin measures approximately 1.4″. 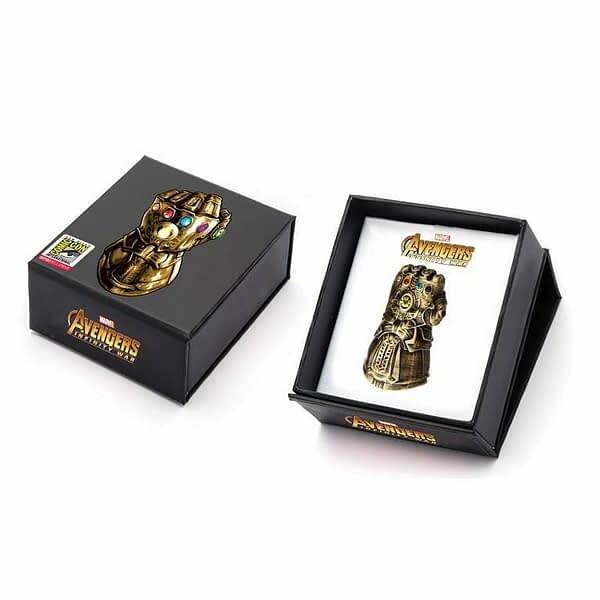 Officially licensed 2018 San Diego Comic Con Exclusive Thanos Infinity War gauntlet pin. This limited edition 1.5″ enamel pin with jewel accents arrives in a handsome collector’s box. Officially Licensed 2018 San Diego Comic Con Mister Rogers Pin. 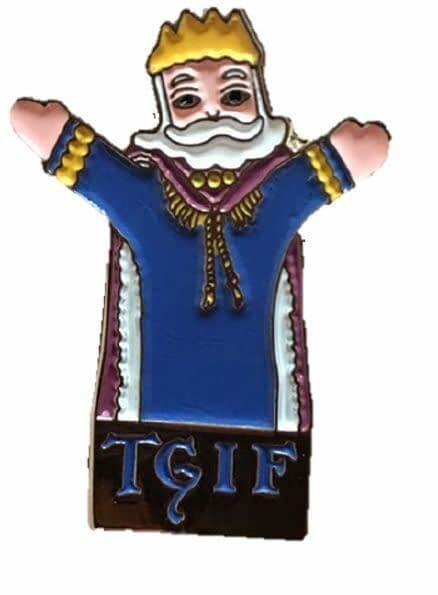 This limited edition enamel pin features the King Friday TGIF. Pin measures approximately 1.5″. Officially licensed 2018 San Diego My Little Pony 3 Pin Set. 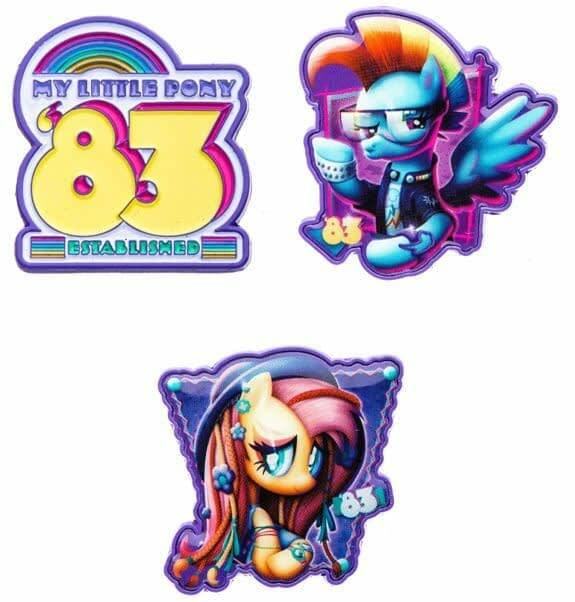 This limited edition enamel pin set features Glam Rock Dash, Hoofgazer Fluttershy and ’83 pins. Each pin measures approximately 1.5″. 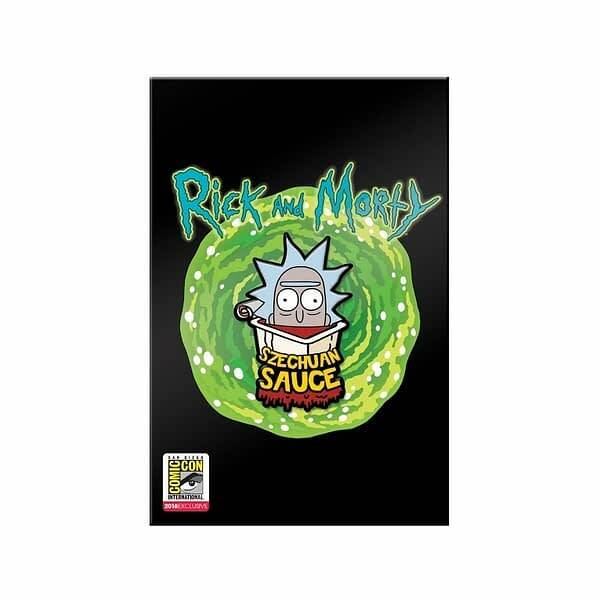 Officially licensed 2018 San Diego Comic Con Exclusive Rick And Morty Szechuan Sauce Pin. This limited edition enamel pin measures approximately 1.5″. 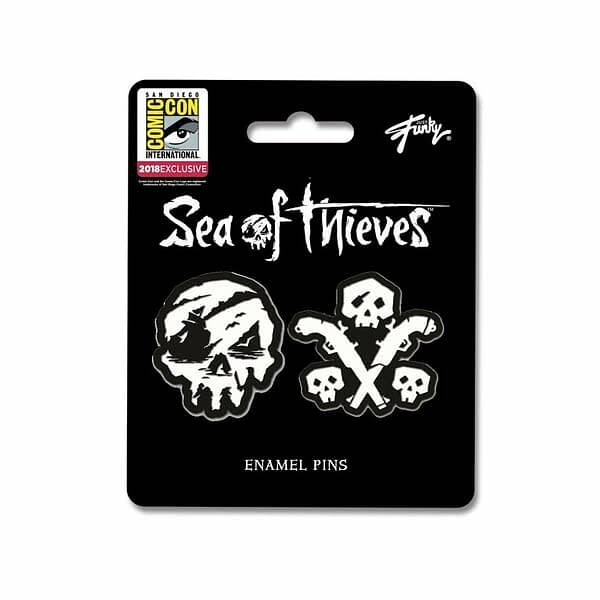 Officially licensed 2018 San Diego Sea Of Thieves 2 Pin Set. This limited edition enamel pin set features a Skull and Skulls and Guns designs. Officially licensed 2018 San Diego Comic Con Star Wars 3 Pin Boxed Set. This limited edition enamel pin set features Return Of the Jedi, Empire Strikes Back and A New Hope Pins, from Star Wars episodes 4-6. 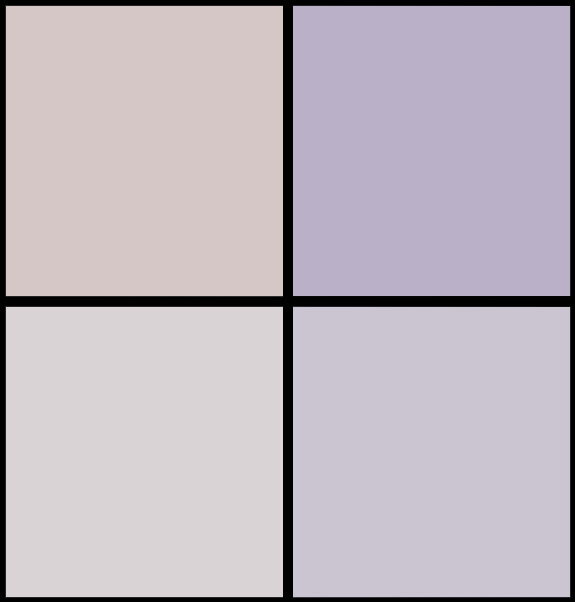 Each pin measures approximately 1.5″ and comes in a handsome collectors box. 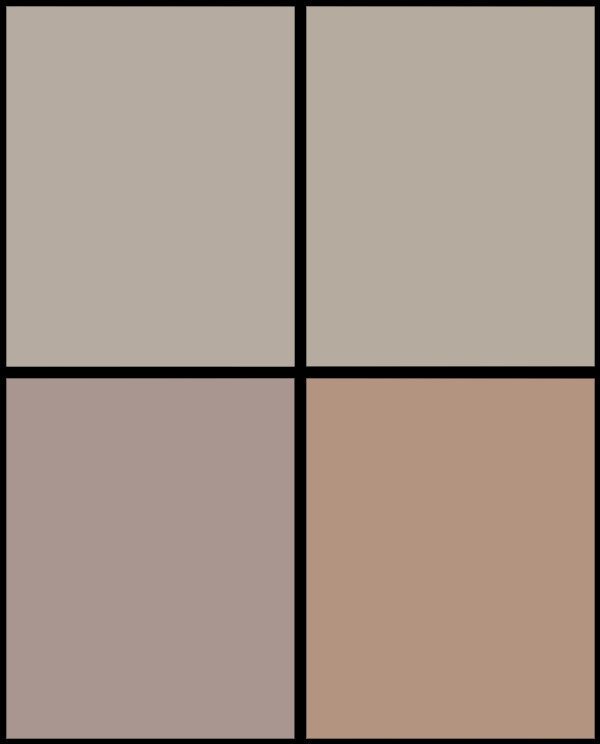 Funko SDCC Exclusives Wave 12: WWE! Golden Girls Skateboard!